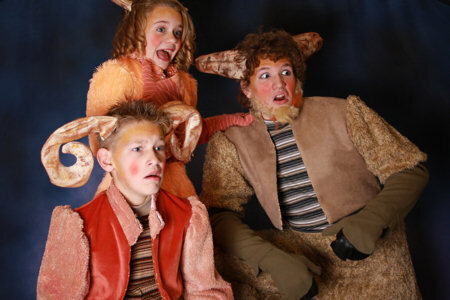 A classic folktale receives a twist when three Billy goats, all names Gruff, move into the Land of Nursery Rhymes. Even though the Rhymes are nice enough, the Gruffs don’t really fit in. They try to help their only friend, Little Boy Blue, proclaim his love for his neighbor across the bridge, Little Bo Peep. When the Troll kidnaps Bo Peep, Old King Cole decrees that all non-Rhymes are to be banished. The Gruffs then go under the bridge to save Bo Peep, but find a very different story. Together with Peep, Blue and the Troll, the Gruffs help the Rhymes understand that it’s okay to be different. About the Author: Local Playwright C. Lynn Johnson, has won numerous awards for her writing. Living in Mesa Arizona, Ms. Johnson writes plays and short stories, and has had several of her works produced and published.